Nizameddin Shirin ogli Isgenderov graduated from BSU in 1979. From 1979 to 1981 he worked as senior research assistant in the Institute of Mathematics and mechanics of the Academy of Sciences of Azerbaijan. From 1981 to 1983 - research trainee, and from 1983 to 1986 - the graduate student of the Institute of Mathematics of the Academy of sciences of the Ukraine. Under the management of prof. Nijkin L.P. in Kiev in 1986 he protected candidate thesis on the theme: "Inverse problem of scattering for the system of hyperbolic first order equations on the semi axis"
From 1986 to 1993 he worked as a junior scientific worker, a scientific worker, later as a senior scientific worker in the Institute of Mathematics and Mechanics of the Academy of sciences of Azerbaijan; from 1993 to 1997 he worked in Turkey in the Yildiz Technical University on the post of doctor- professor; from 1997 to 1999 he worked as the manager of the laboratory, and then the manager of Functional analysis department in the Institute of Mathematics and Mechanics of the Academy of Sciences of Azerbaijan. 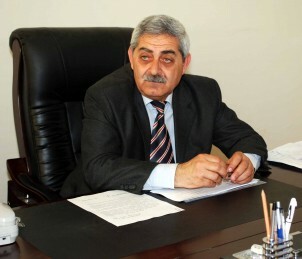 Since 1999 he has worked in the Baku state university. In 2003 he became a Doctor of Physical and Mathematical Sciences. At present, he is the professor of Differential and integral equations department, the dean of Mechanics-mathematics faculty. He conducts scientific work in the direction of direct and reverse problems of the theory of scattering for the system of hyperbolic and ordinary differential equations on the semi axis. He is the author of more than 65 of scientific articles and one monograph. 6 candidate theses were protected under his management. The following courses are being taught: Differential equations (bachelor degree), Spectral theory differential of operators, Theorem of investment and their application (master degree).